First it was John McEnroe and now Australian tennis greats John Newcombe and Lleyton Hewitt are giving Nick Kyrgios the hurry up. 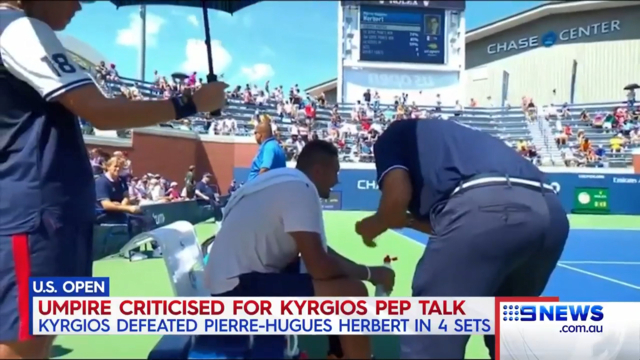 McEnroe this week said he feared Kyrgios was on going to "run himself out of the game" and urged the tempestuous talent to fully commit to the sport. After gatecrashing the Wimbledon and Australian Open quarter-finals as a teenage excitement machine, Kyrgios hasn't reached the last eight of any other majors in almost four years. He'll unlikely be seeded at January's Open after falling to No.35 in the world and faces the prospect of dropping out of the top 50 if he doesn't defend the mass rankings points accrued from winning the 2018 Brisbane International and then making the second week in Melbourne. Hewitt isn't giving up on Kyrgios, but wants to see the 23-year-old take a more professional approach to his tennis. "There's still time, absolutely - but it goes quickly," Hewitt told AAP. "It goes quickly and you get the next group of kids coming up as well and they'll be challenging next and they'll see (season-ending championship winner Alexander) Zverev now is on the plate. "Two years ago, Nick was probably ahead of Zverev in terms of what a lot of people thought his potential was. "Zverev's done absolutely everything right. He is the ultimate professional and he has been from day dot from when I've seen him around on the tour." 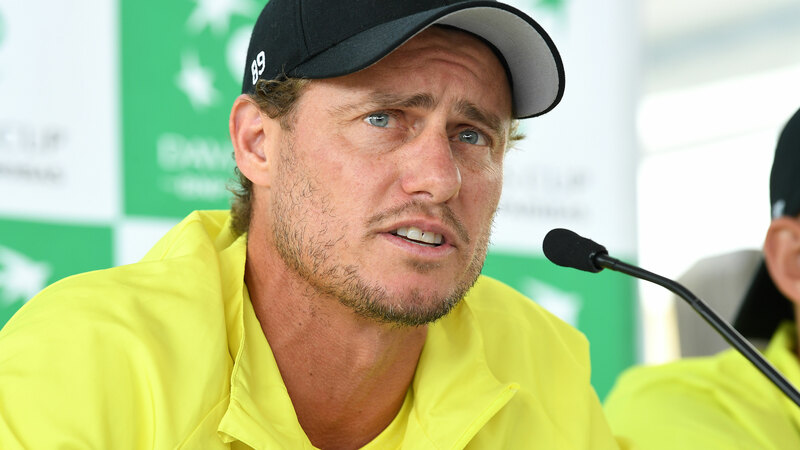 Hewitt welcomed Kyrgios's decision to seek professional help for his mental demons. "Anything to try and help him out," said the former world No.1. "It's just been another frustrating year, especially not being able to finish the year as he would have liked after how he started the year. "And that's where he's got to get back what he wants to get out of the game and doing all the right rehab and prehab and looking after his body. "Otherwise it will be the same scenario. "He has a lot of potential and talent but he has to learn to use it, maybe pick a better schedule as well and focus on where he wants to peak." Newcombe agrees the key for a Kyrgios revival is getting his body in tip-top condition. "If he got himself into 100 per cent physical shape, he'd stop getting all the niggling injuries. That would be a big step forward," said the seven-times grand slam champion. "Because as you get into the mid 20s and late 20s, if you're not fully fit, you haven't done the homework, you're going to get more and more injuries."